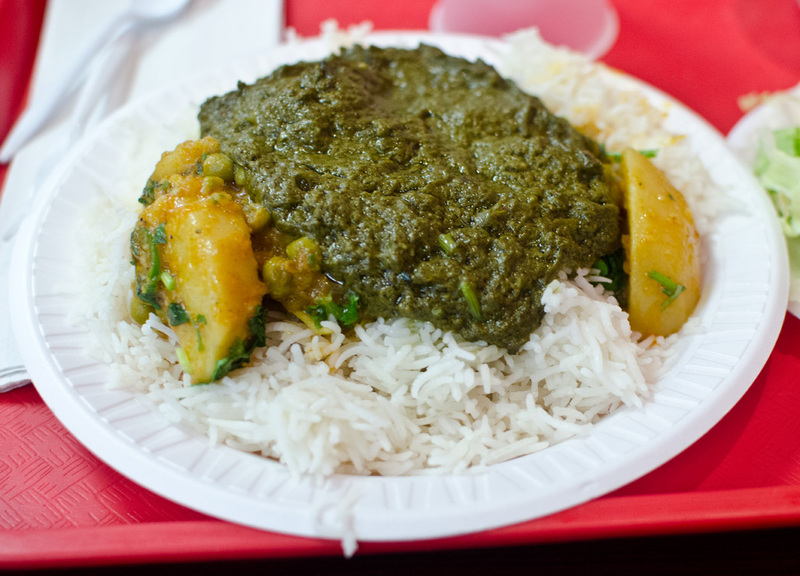 Since Madina was closed, I ended up eating at Shandar, just a few blocks away. 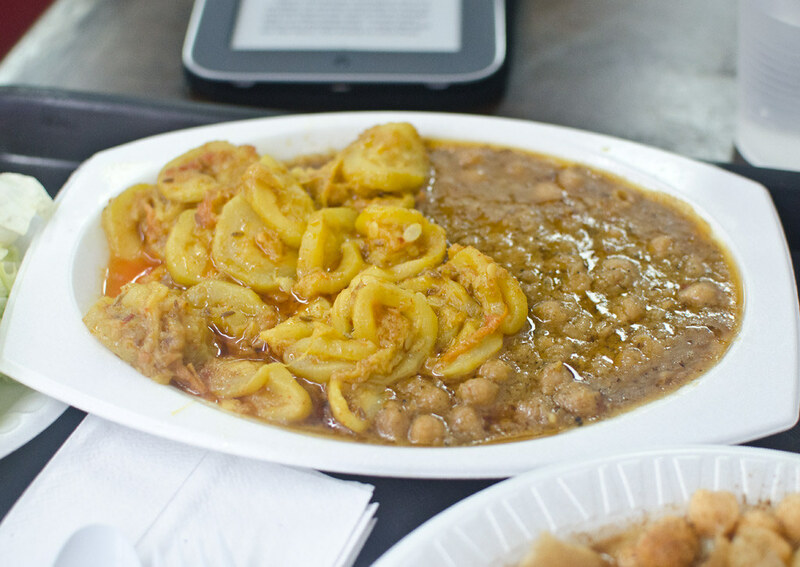 I ordered a couple of vegetable dishes from the trays: spiced chickpeas, and cooked yellow squash. The squash was fine but the chickpeas were flavorless and drab. 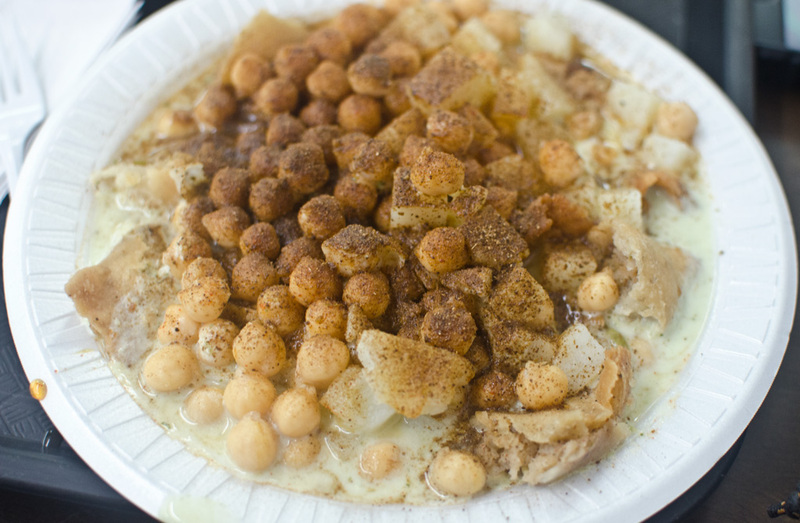 I also ordered a samosa chaat, which is usually one of my favorite snacks. If you’ve never had one, imagine a warm and crispy samosa cut open and topped with all manner of chopped vegetables, chutneys, and yogurt. Unfortunately the samosa chaat at Shandar was pretty bad, topped with ice cold cubes of potato and a watery yogurt dressing. Not the most auspicious start to my journey. Not one to be so easily discouraged, I returned to Madina a couple of weeks later. 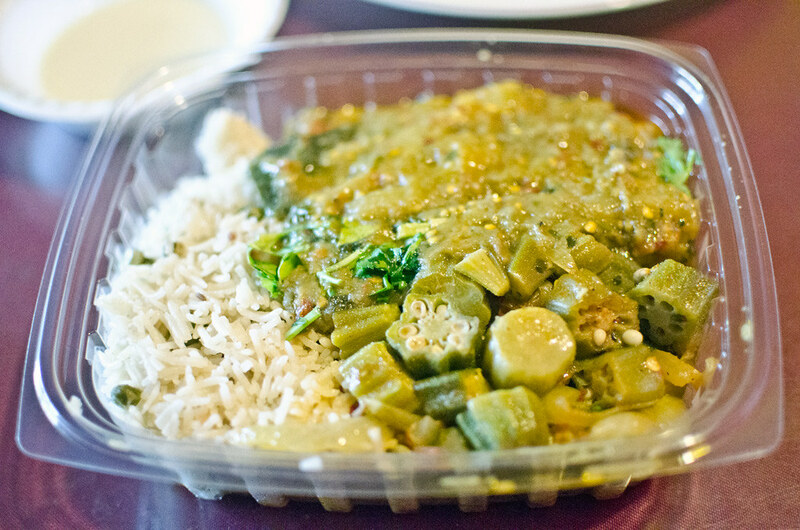 I ordered two veggies over rice — okra, and eggplant. Though marginally better than Shandar, once again the veggies didn’t have much flavor. Also like Shandar, they didn’t taste fresh. I know they are pre-cooked and reheated, but something fell flat in the process. I was starting to doubt my mission. I would not be dissuaded, however, and gathered my courage for a visit to Mashallah two weeks later. 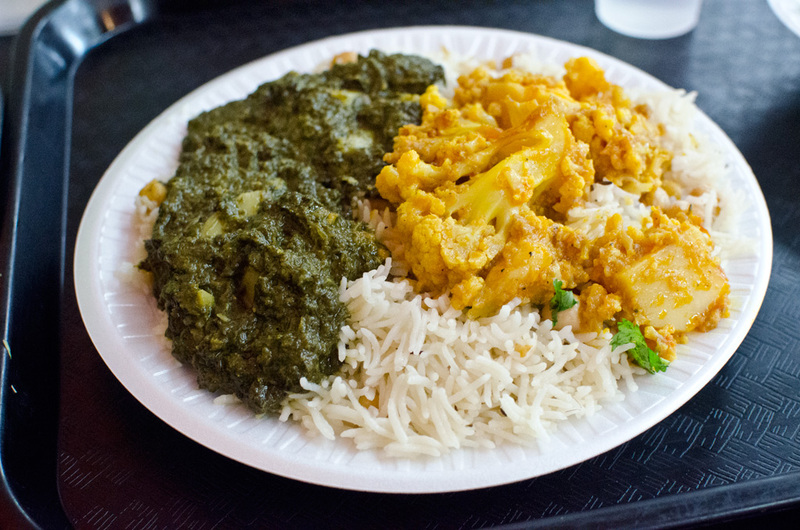 Once again, I got two veggies over rice: cauliflower with potato, and spinach. The difference was mind-blowing; as opposed to my first two destinations, the flavors were bright and vibrant. There was a good level of spice, and (in spite of the microwave) the veggies actually tasted fresh. The yogurt dressing and small salad that came with it were a nice acidic and cool compliment to the cooked food. I would definitely eat at Mashallah again. Reinvigorated by my meal at Mashallah, a week later I visited the last restaurant on my list: Hadi. Once again I went for my tried and true order of two veggies over rice, in this case spiced potatoes and spinach. My server spooned the spinach over the potatoes before microwaving, so they basically mixed together. This was another success; once again, the veggies tasted fresh and the flavors were on point. Once again, the yogurt and salad were a great companion to the food. This entry was posted in flatbush and tagged flatbush, hadi, indian, madina, mashallah, shandar sweets. Bookmark the permalink.